Vicki Allman reaches third in the seventh inning after a 2-out, 3-run triple to tie the score. 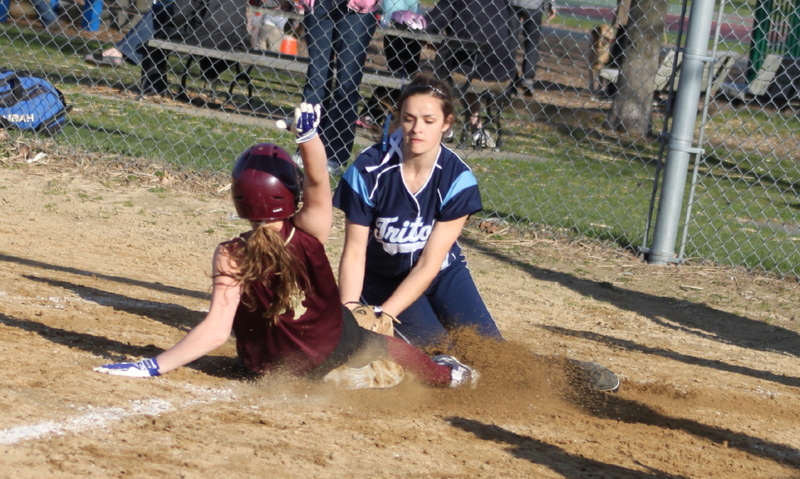 (Newburyport) Triton survived a shaky seventh inning and went on to defeat Newburyport, 10-7, in eight innings on a beautiful Wednesday afternoon along the Merrimack River. 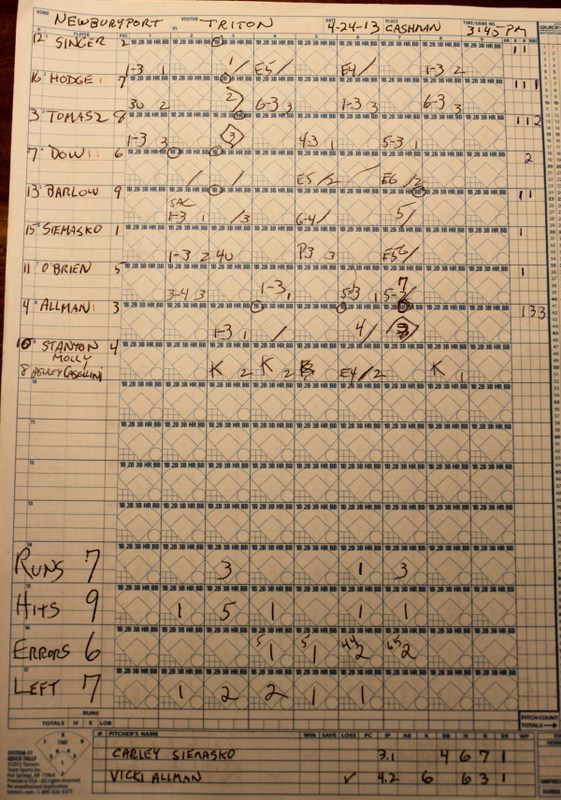 The Vikings (2-4) had a three run lead (7-4) with two outs in the bottom of the seventh but Vicki Allman cleared the bases with a triple to right center tying the score. Big play in this game? Triton pitcher Mara Spears threw a wild pitch to the next batter (pinch hitter Ashley Casellini) and Vicki Allman tried to score. 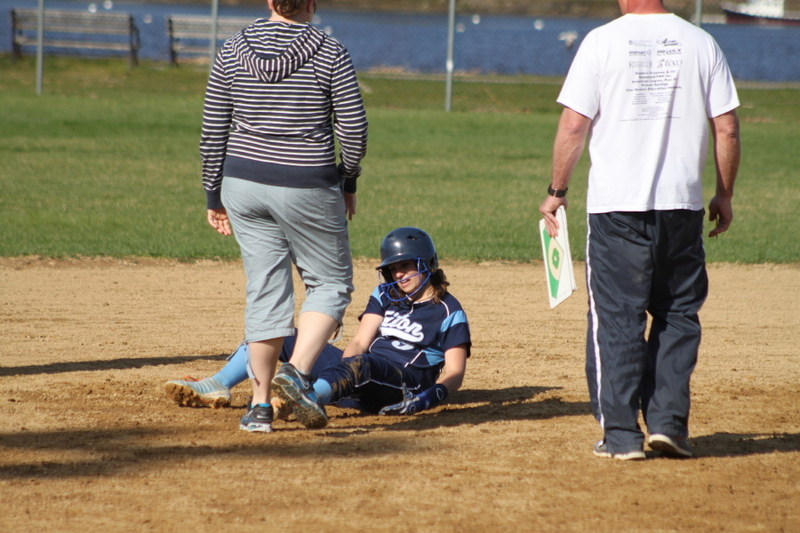 Catcher Julia Hartman retrieved the ball, tossed to Mara covering home, and Vicki was tagged out to end the inning. If Vicki had scored the game was over. Mara and Vicki head for the plate. 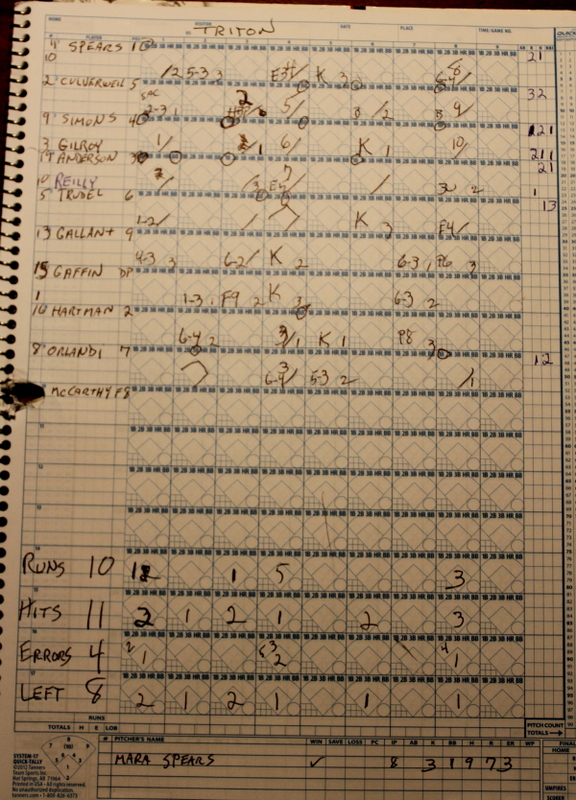 Triton won the game with three runs in the eighth. Cara Orlandi singled to left leading off. After a force-out by Mara Spears, Rylee Culverwell, attempting to sacrifice bunt, ended up with a bunt single. Both runners moved up on catcher Lauren Singer’s passed ball before Kylie Gilroy’s 2-strike single delivered Mara. 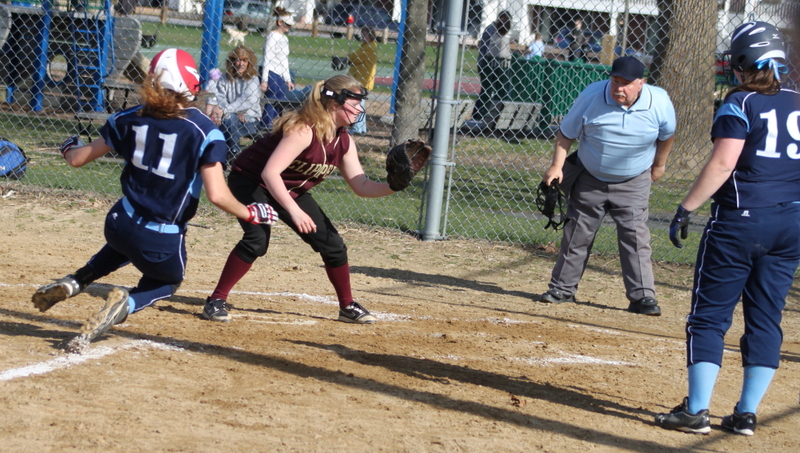 On Kylie’s RBI, Rylee ended up on third and Kylie took second on the throw. 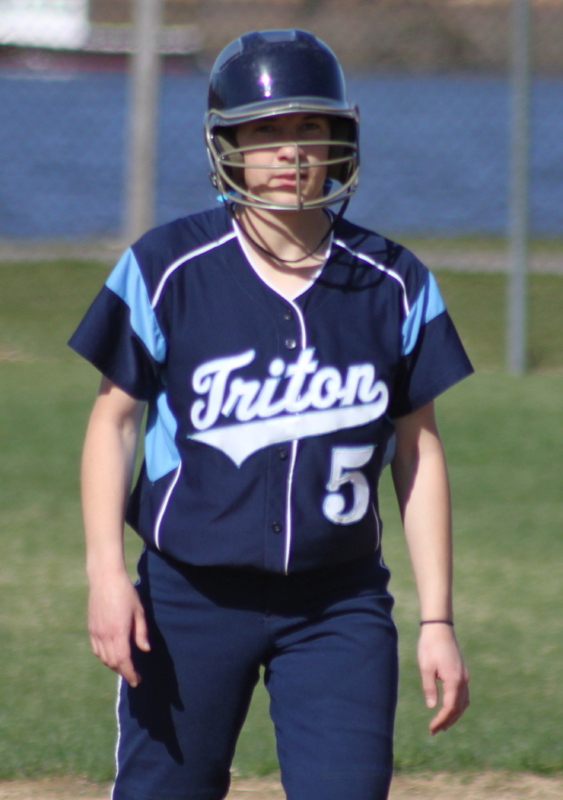 A hard hit grounder by Kelsey Trudel with two outs overwhelmed second baseman Molly Stanton allowing two more Triton runs. That three-run margin stood up nicely as pitcher Mara Spears retired the Clippers in order in the bottom of the eighth. 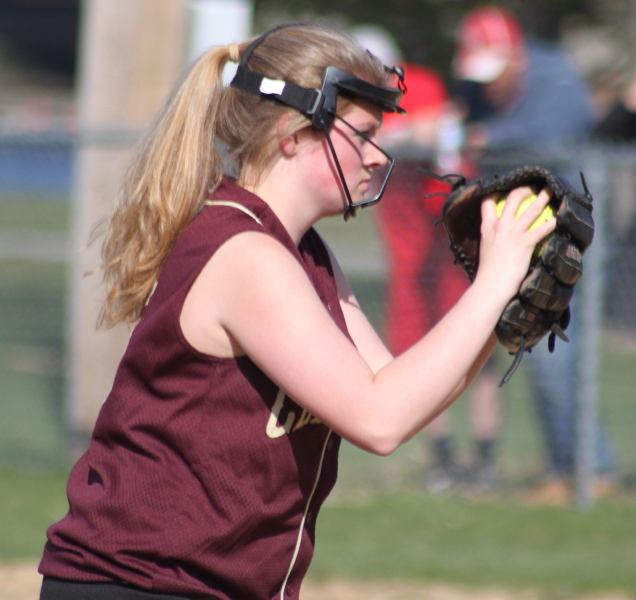 Carley Siemasko and Vicki Allman pitched for Newburyport while Mara Spears went the distance for Triton. The trio gave up seventeen runs but only five of the runs were earned, by my figuring. 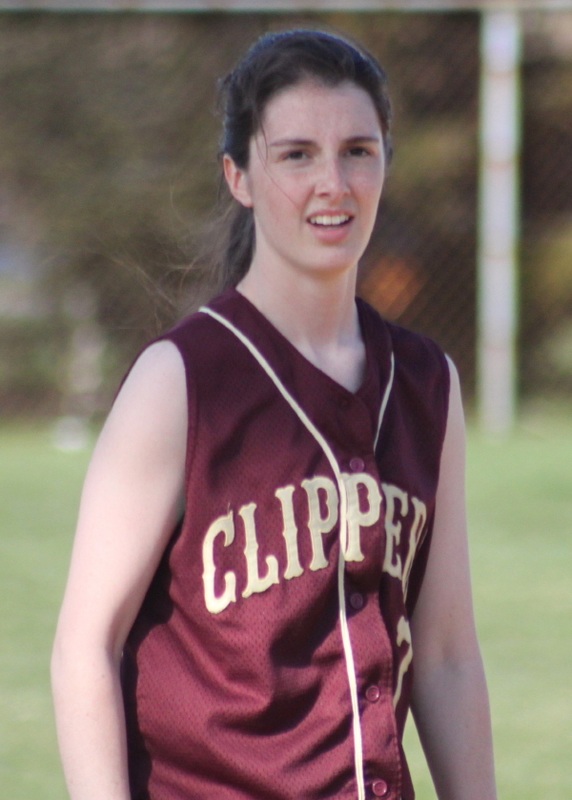 Mara had six errors by her teammates while the Clippers pitchers had four errors by their teammates. 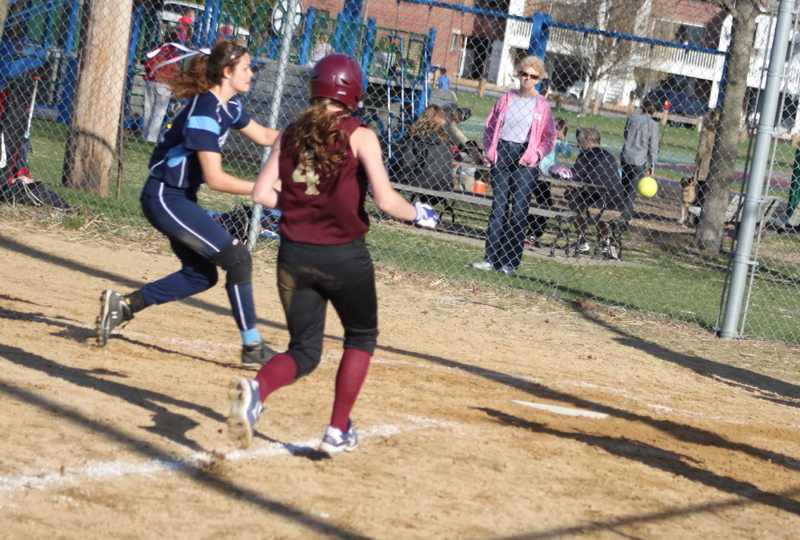 Newburyport put a single (Lauren Singer), RBI double (Ashley Hodge), and 2-run homer by Lea Tomasz together in the third inning to take a 3-2 lead. Lea’s home run rolled to the fence in left field. 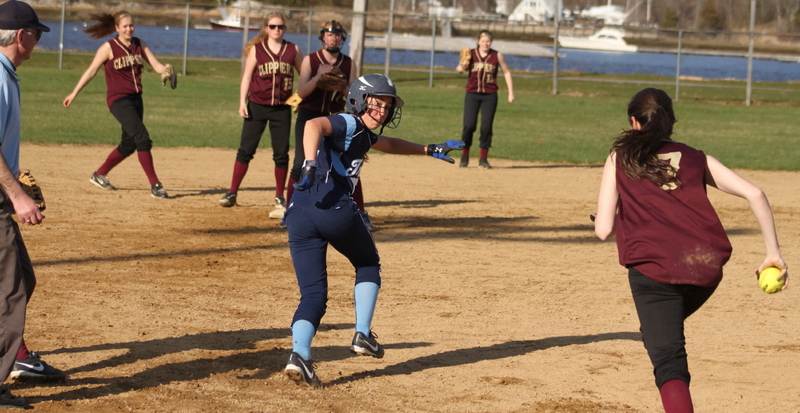 The fourth inning was a disaster for Newburyport as they gave up five runs. The bad combination of three walks and two errors (Shelby O’Brien and Vicki Allman) was joined with a 2-run triple by Kelsey Trudel. Down 7-3, the Clippers got a run back in the sixth. 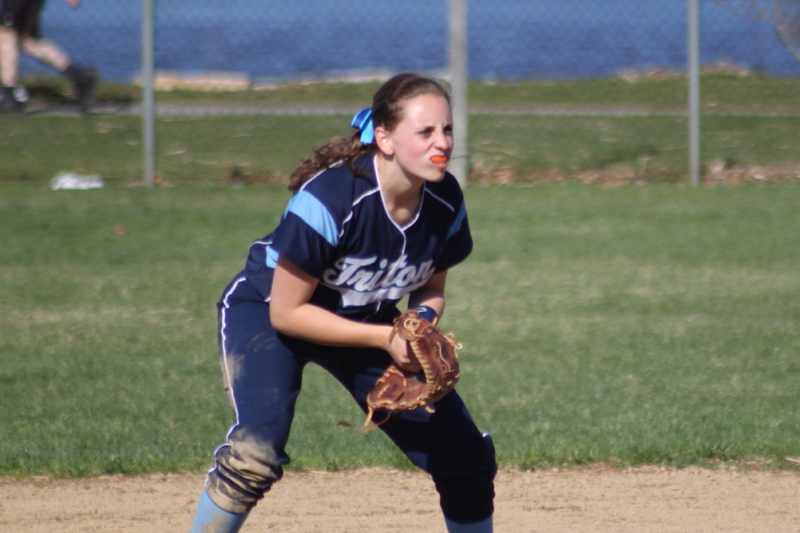 An error by second baseman Kylie Gilroy extended the inning. NHS had runners on first and third with one out. Molly Stanton broke for second and was tagged out while Vicki Allman raced home. In the bottom of the seventh the Clippers put three on the board to tie but Vicki Allman was tagged out going for the game winner. Vicki relieved Carley Siemasko (making her first start) in the fourth inning with one out and five runs in. 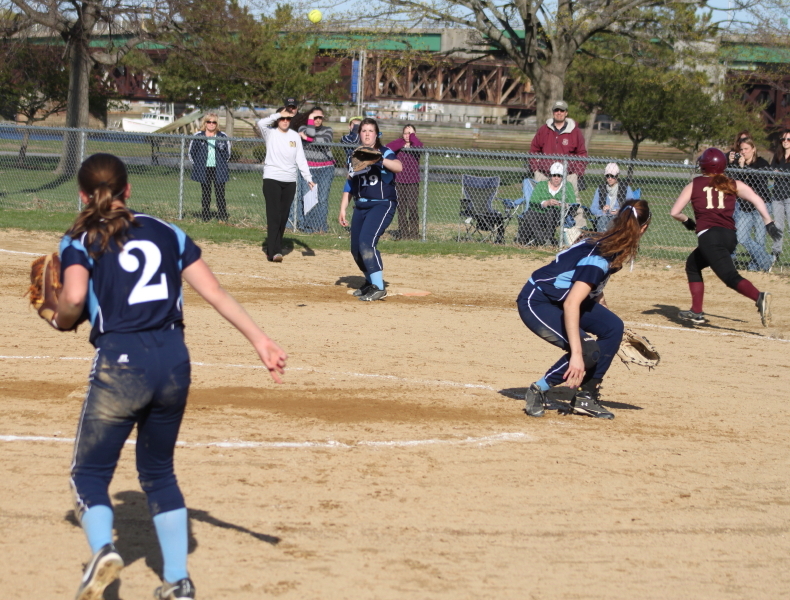 The hard-throwing junior K’d Brittany Gallant and Rose Gaffin to end the inning. Vicki cruised through innings 5-7 before the Vikings reached her for three hits in their big 8th. Triton will host Pentucket tomorrow while Newburyport will travel to Pentucket on Friday. Today Pentucket visited North Reading and gave the Hornets their first loss in Cape Ann League play. Vicki Allman had three RBI while teammate Lea Tomasz had two RBI. Vicki also had three hits and struck out six Vikings. 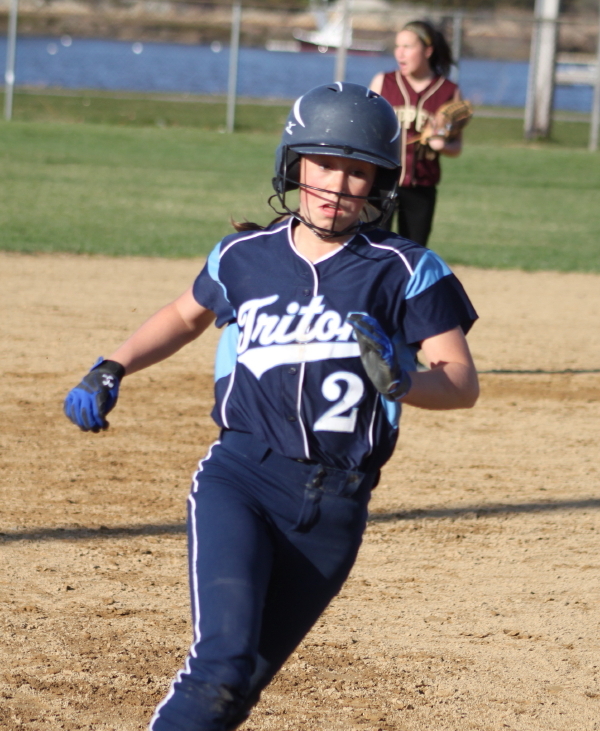 Rylee Culverwell, Cori Simons, Lily Anderson, and Cara Orlandi each had two hits for Triton. Kelsey Trudel had three RBI for the winners. Beautiful weather at Cashman Park after an overcast morning.